Husky Tools 8 Piece Metric Radial Folding Hex Key Set Just $5.00 Down From $18.99! Ships FREE! You are here: Home / Great Deals / Husky Tools 8 Piece Metric Radial Folding Hex Key Set Just $5.00 Down From $18.99! Ships FREE! GearXS has this Husky Tools 8 Piece Metric Radial Folding Hex Key Set on sale for $5.00 (Reg. $18.99) + FREE shipping! 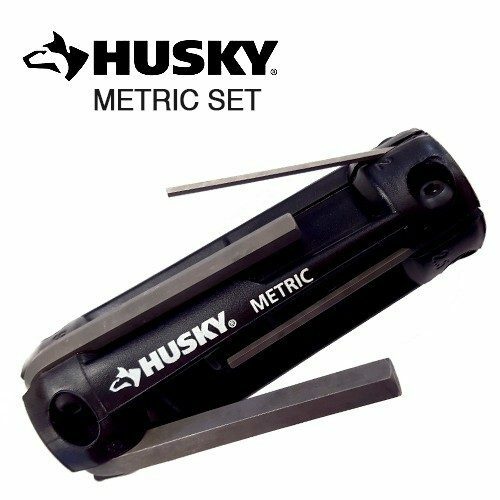 The Husky 8-Piece Metric Radial Folding Hex Key Set is designed for tightening and loosening hex screws efficiently. The hex keys are made with hardened steel for durability. The radial handle design easier to use than a traditional foldout and has a 180-degree positive stop for screwdriver-type action. Order today.